I am a second year PhD student supervised by Clare Rowan and Kevin Butcher. I received first class honours in my BA in Ancient History and Classical Archaeology at the University of Warwick in 2015 and in 2016 I received my MSt in Archaeology at the Univerity of Oxford. I have volunteered on the Portable Antiquities Scheme and the Coin Hoards of the Roman Empire Project from 2015 to the present. I have been a member of the University of Warwick's Classics Department SSLC from 2012-2017, and I now work as the Outreach assistant for the Department, arranging the Warwick Drama Festival for Schools. 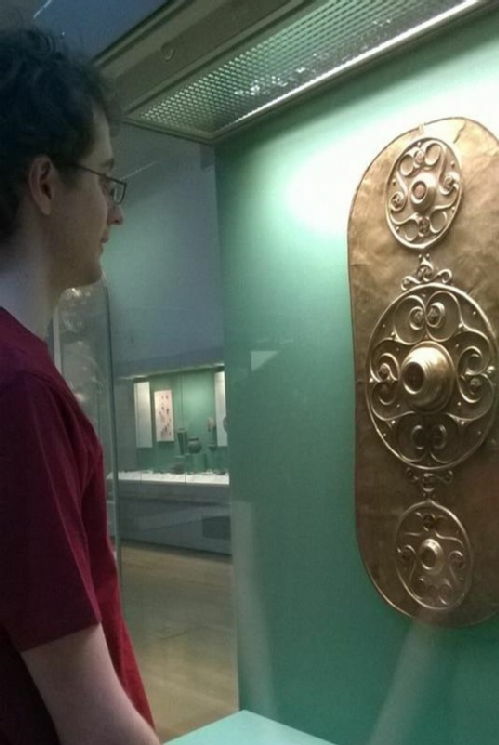 I have interned and volunteered in roles at the Ashmolean, the British Museum, Warwick Museum and Ashford Museum. Current: Coin Hoarding Patterns in Iron Age (Celtic) Northern Europe. I specialise in the study of Iron Age, otherwise known as Celtic, coins. My current area of research is the coinage of northern Gaul and southern Britain. Coinage is the most plentiful remnant of the cultures of Iron Age Europe, providing details on their art, spirituality, identity and economic situations. Today, they remain a part of our identity, even serving a role in the British Citizenship test, as the first objects to present the names of our rulers. Iron Age coins represent the first words written by an inhabitant of Britain; they are, quite literally, the beginning of British history. Later Iron Age coins bear classical imagery, thus representing the cultural association between the Iron Age world and the Romans. An aim for my research is to bring Mediterranean and Celtic scholarship together; for too long they have been separate disciplines, despite these cultures having a close connection for much of the ancient period. Outreach Assistant of the University of Warwick's Classics Department. SSLC Member of the University of Warwick's Classics Department. PhD Teacher of the University of Warwick's Classics Department.